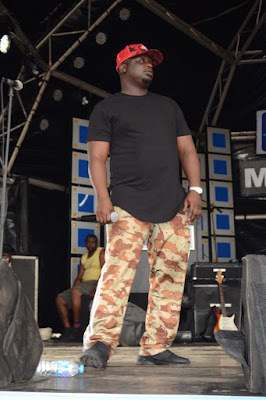 Looks like Uncle Wande Coal has gone back to Mushin! The Black Diamond, CEO has changed a lot since the last time we saw him. The singer was spotted on stage during a performance recently Some of his fans are not so pleased that he’s added a lot of weight, while some others condemned his ever increasing pot-belly. What do you think of his new weight look?